That was the beginning for writing this blog, MenShatteringTheSilence. 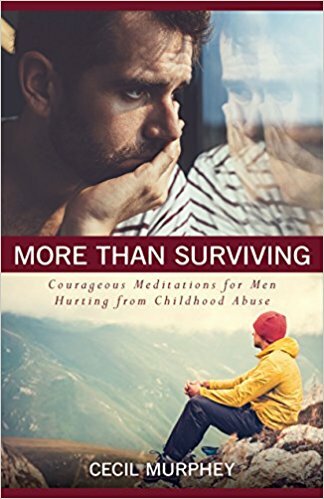 I started it nine years ago to reach out to men who, like me, were willing to face the hurt and especially the undeserved shame of childhood sexual abuse. The blog has provided a safe place for us to discuss hard-to-talk-about issues, and we’ve been able to focus on healing and growth. I appreciate those who have been willing to transparently share your painful experiences. I’m also grateful for the encouragement you’ve given one another and me. Together, we’ve learned and grown. And although we might not be completely healed, we’re getting close. Now it’s time to say good-bye. As one of my last steps toward retirement, I’m discontinuing this blog. The decision didn’t come easily because I care deeply about each of you. As always, you are welcome to reach out to me through email. 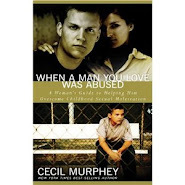 I am working on shutting down my office, and I have extra copies of the three books I've written on the topic of abuse: When a Man You Love Was Abused, Not Quite Healed, and More Than Surviving. If you are part of a group or organization that could benefit from the use of any of these books, please contact me. I will send them to you at no charge. It makes me very sad to hear that you will no longer be doing this blog. I hope that it will still be accessible, even without new posts. Just today, I recommended your blog and books to another survivor. I am sure that the books will continue to be used by God to promote healing for a long time to come. Thank you for being such a strong voice and shining example of God's healing power and grace and for using your talents to help other survivors. Your words have blessed me immensely. Cec! I couldn't believe this last post. Your blog inspired me to start writing one of my very own. Thanks for your vulnerability and providing a safe place. Thank you for just talking about the issue itself. That is so important for men. God bless you in your retirement. 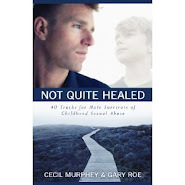 Cec, I so appreciate your impact in my healing journey. It started with the book, "Not Quite Healed" and grew into reading this blog, emails back and forth, and finally getting to meet you in person. I know that maintaining such a faithful writing and posting schedule for a blog is more challenging than we realize. Thank you, and, in spite of the fact we will miss this, congratulations on continuing to retire. Each time one of us are able to encourage someone in their healing journey, a part of that will be the continuing fruit of how you have invested in us! Blessings my friend. Thank you, Cec, for all you have shared here on this blog. Happy Retirement, God's richest blessings be upon you. Our lives are richer because of you sharing your story and giving others the opportunity to share their struggles and triumphs.